Describe your job in a nutshell - I arrived in Oundle from Italy as an au pair and started working part-time as a waitress a year ago. I am now working full­time and I am working in both, bar and restaurant. My responsibilities as a waitress are to look after customers and provide a consistent standard of service, while working together as part of a team and creating a welcoming atmosphere. What sets your hotel apart from the rest? – What sets The Talbot hotel apart from the rest is its indisputable beauty and its Georgian architecture that reflects the charm of the whole town. The hotel is surrounded by history and is one of the first buildings in England to be classified as a grade 1 heritage property. What’s your favourite thing to do in [your local area]? – What I love to do the most in Oundle is walking through town (it’s literally like walking back in the 17th century!) and, weather permitting, enjoying a drink or an ice cream at Barnwell County Park, only 10 minutes’ walk from the town centre and The Talbot. 3. Get a pad, a pen and start working! If you weren’t working in the hospitality industry, what would be your dream profession? - If I weren’t working in the hospitality industry, I would like to become a primary teacher or to use my mother tongue and teach Italian here in England. Never say never! What’s been your career highlight so far? 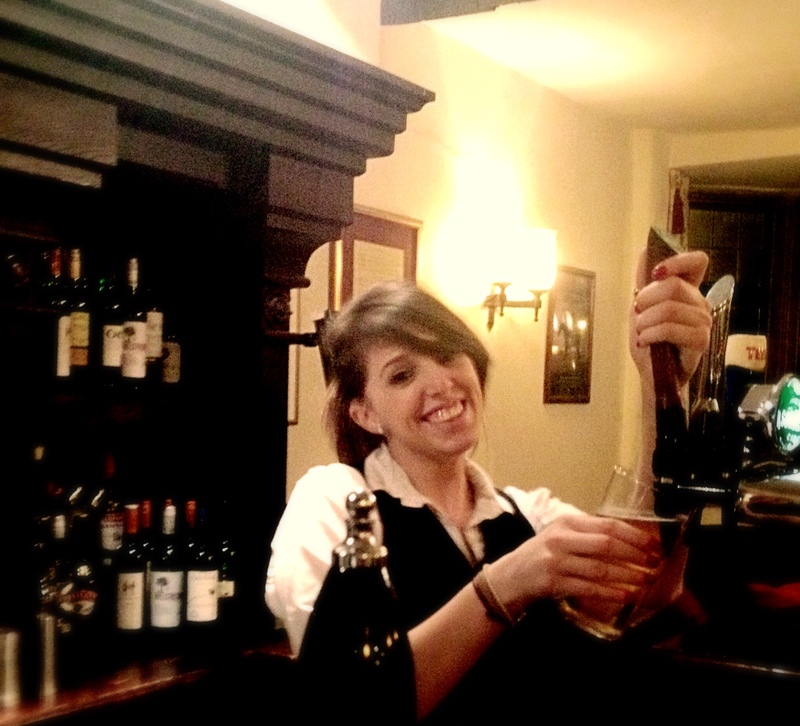 - After a year at The Talbot I have been taught a lot and I learnt a lot. I also passed and obtained the WSET Level 1 Award in Wines. Throughout this time I manage to achieve the trust of my managers, so I am able to look after the restaurant and the bar on my own and to help to train new staff when needed. If money were no object what would you have at your hotel? - If money were no object, I would fund and promote more events at The Talbot. As we have a big front courtyard, I would use this premise for concerts, fairs, or festivals open to all our guests and local customers to provide more income for the hotel and support local charities. What’s the most embarrassing thing you have done at work? - I think that the most embarrassing thing I’ve ever done at work was falling in the restaurant. It was a very busy Saturday evening, one of my first shifts at The Talbot, and we had full restaurant. I missed one of the steps in the restaurant, I tripped over and dropped a tray full of drinks in front of a really amused crowd. Doubtless, it wasn’t my fault, I immediately blamed on the flat shoes I was wearing and hid myself in the kitchen for at least the next 10 minutes. What’s your guilty pleasure? - I consider myself an authentic Italian and for this reason I’d say my guilty pleasure is food and wine. I love simple food matched with a good glass of wine, better if red! I don’t just like eating for the sake of it, but I love to taste food I have never tried before, enjoying local food and wine as well and in particular if it’s all accompanied with good company. If you could describe yourself as a cocktail which one would you be and why? – If I could describe myself as a cocktail I would be an Aperol Spritz! It’s an Italian aperitif, more than a cocktail, and it’s originally from the area of Venice, where I am from too. It’s a mix of Aperol (similar to Campari, but sweeter in taste), prosecco, and a bit of soda water. It is called “the drink of the summer” but it’s nice any time of the year, like me! What would you do if you won the lottery this weekend? - If I won the lottery this weekend, I’d first go on holiday, probably to Thailand. I’d buy a bigger house, a new car, lots of clothes and toys for my baby and help friends, family and charities. I recommend you to visit https://writemyessay4me.org/blog/countries-with-the-worst-education if you want to know countries with the worst education. You can use it for comparing. It's a great interview. I love it. If you need help with your college packing list - contact me later.